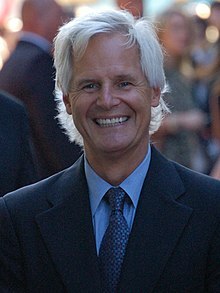 Chris Carter (n. 13 octombrie 1956, Bellflower, California) este un scenarist, producător de film, regizor de film și scriitor american. Este cel mai cunoscut pentru munca sa la serialele Dosarele X și Millennium. Chris Carter, Ken Horton, Frank Spotnitz, Lance Henriksen, Megan Gallagher, David Nutter, Mark Snow, John Peter Kousakis, Mark Freeborn, Robert McLachlan, Chip Johannessen and Thomas J. Wright. (2004). Order in Chaos: Making Millennium Season One. [DVD]. Millennium: The Complete First Season: Fox Home Entertainment. Duncan, Jody ( 1998 ). The Making of The X-Files Movie. HarperPrism. ISBN 0-06-107316-4. Edwards, Ted ( 1996 ). X-Files Confidential. Little, Brown and Company. ISBN 0-316-21808-1. Fraga, Erica ( 2010 ). LAX-Files: Behind the Scenes with the Los Angeles Cast and Crew. CreateSpace. ISBN 9781451503418. Genge, N. E. ( 1997 ). Millennium: The Unofficial Companion. Century. ISBN 0-7126-7833-6. Lovece, Frank ( 1996 ). The X-Files Declassified. Citadel Press. ISBN 0-8065-1745-X. Lowry, Brian ( 1995 ). The Truth is Out There: The Official Guide to the X-Files. Harper Prism. ISBN 0-06-105330-9. Shapiro, Marc ( 2000 ). All Things: The Official Guide to the X-Files Volume 6. Harper Prism. ISBN 0-06-107611-2.